Activists gathered outside of OceanaGold’s shareholder meeting in downtown Toronto today at a rally organized by the Council of Canadians, the Mining Injustice Solidarity Network, MiningWatch Canada, and the United Church of Canada. The Canadian mining company has faced controversy for its decision to sue El Salvador for US$250 million at a World Bank tribunal when the company failed to obtain a mining permit for which it never met regulatory requirements. As a result, over the past seven years, the tiny financially-strapped nation has been forced to divert over $12 million dollars from economic development, job creation and violence prevention, merely to pay to defend itself. Council of Canadians organizer Rachel Small went inside the shareholder meeting and made the following statement to the shareholders, management, and executive team present. “My name is Rachel Small and I work with the Council of Canadians. In 2013 Oceana took on an expensive drawn-out legal battle suing El Salvador for $250 million USD over a mine permit that it has never met the regulatory requirements to obtain. El Salvadorans meanwhile have been very clear that they do not want mining to proceed in their densely populated and already water-stressed country. 98% of the country’s freshwater supplies are heavily polluted. The proposed Oceana Gold mine would threaten the watershed that provides drinking water for two thirds of the population. An overwhelming majority of Salvadorans want to see a permanent ban on metal mining – over 80% of the population as confirmed by a 2015 national poll. Oceana Gold’s lawsuit is an effort to bully the Salvadoran people who are setting their own economic and environmental agenda free from destructive metal mining projects. Many are also looking to the company’s take on corporate philanthropy through its El Dorado Foundation in El Salvador as a further attempt to increase social divisions and contribute to further violence against local community activists. 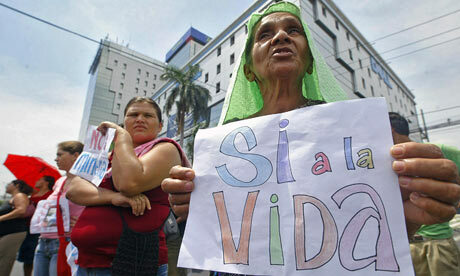 Between 2009 and 2011, four environmental activists were murdered in Cabañas, El Salvador. More recently, several local organizations have received threats. These crimes have never been fully investigated. A decision in this case will be announced shortly. El Salvador, a small impoverished Central American country of 6 million inhabitants, has already spent over 12 million USD in legal fees– an amount that could go a long way towards providing basic services to reduce poverty. For example, that amount could provide two years of adult literacy classes for 140,000 people. 250 million would have devastating effects on the economy. Many in El Salvador are looking at the Philippines for further evidence of why the proposed mine will not benefit their country. Local organizations in Nueva Vizcaya, where OceanaGold’s Didipio mine is located, are calling for OceanaGold’s operations to stop and for their lands to be rehabilitated, given impacts on water supplies and farmlands. The Incoming Governor of Nueva Vizcaya, Carlos M. Padilla, also issued an open letter reiterating the call for OceanaGold to pull out, emphasizing how the costs of the company’s open-pit mine far outweigh scarce benefits. In 2012 two environmental activists who opposed the mining project, Cheryl Ananayo and Randy Nabayay, were assassinated. Salvadorans are preventing their communities from experiencing the kind of environmental devastation and displacement faced by communities impacted by the Didipio mine in the Philippines. The CEO responded by saying all of the claims made in the statement were “spurious”, even as the protestors outside the building could be heard yelling “OceanaGold lies!”. All photos by Allan Lissner.